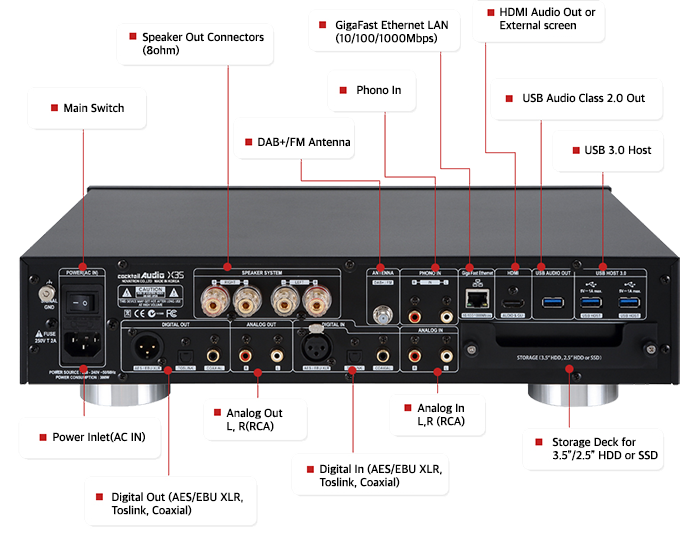 The X35 is the most innovative all-in-one HiFi system, which is featured by CD Ripper, Music Server, Network Streamer, Music Recorder, total 200 watts powerful amplifier built-in, and more. Just connect speakers to experience true high fidelity sound and great features.Just add speakers, you will get a great hifi systems with versatile functions immediately. The X35 will deliver audiophile level sound quality to you.